From January 7th to the 17th, I participated in the Asian Forum on Global Governance (AFGG), a workshop for young leaders to discuss and debate challenges facing the global community. 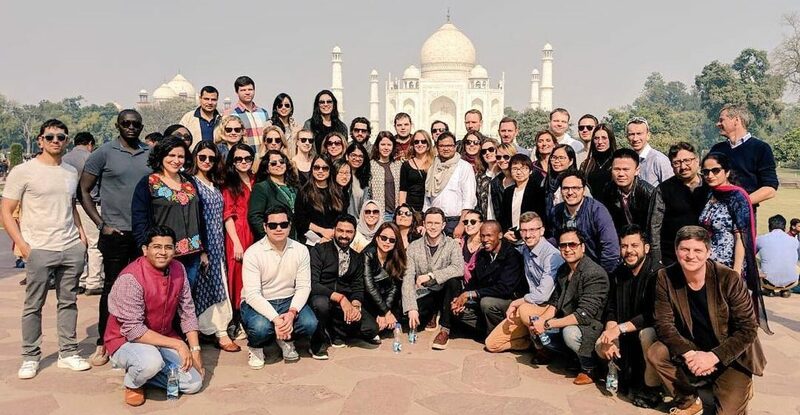 Jointly organized by the Observer Research Foundation (ORF), India, and the ZEIT-Stiftung Ebelin und Gerd Bucerius, Germany, the AFGG gathered forty-eight remarkable young leaders from twenty-nine countries, selected from the public service and private sector. The intensive ten days included more than twenty panel discussions, ranging from book discussions on public policy with former Canadian Prime Minister Stephen Harper and on counterterrorism with Professor Max Abrahms, to live conversations with former President Hamed Karzai on leadership for peace and Kate Hampton, CEO of the Children’s Investment Fund Foundation, on leadership through diversity. In addition, to put what we learned into practice, the AFGG put us through a counterterrorism simulation exercise, where we were pitched against each other in teams to experience a strategic game of policy between state and non-state actors. Having worked on the policy level with state actors in Afghanistan, this was an excellent opportunity for me to understand non-state actor operations, and to reflect on policies from their perspective. In the midst of discussions on international trade and politics, we also interacted with an Indian organization and a movement called Self-Employed Women’s Association (SEWA), which is a trade union that creates a safe space for women to advance their skills, receive support, and create a strong network to advance economically. In addition to the intellectual discussion and mindful interaction, we were tasked to debate in groups. The debate preparation was the most fun in which my inner school kid took the front seat. I was assigned to a group of phenomenal women and one super mindful and intelligent gentleman, to argue for the topic of ‘New Rules: Women leaders will replicate patriarchal vices’. Between the heated discussion and the fun and annoying remarks, I gained a different perspective, and learned to appreciate that at some level, I replicate patriarchal vices too. This realization is the start of a change for me. The AFGG included a beautiful cultural program, in which we experienced a Rajasthan-like evening. Aside from appreciating Bollywood music (of which I am a HUGE fan), I noticed how well-orchestrated the evening was for all of us, from the traditional entertainment to Indian fashion. At times we attend workshops, conferences, and events that limit us from actually appreciating the culture of the nation that provided us with the platform to gain the experience, and this was a great way to appreciate India’s unique culture. 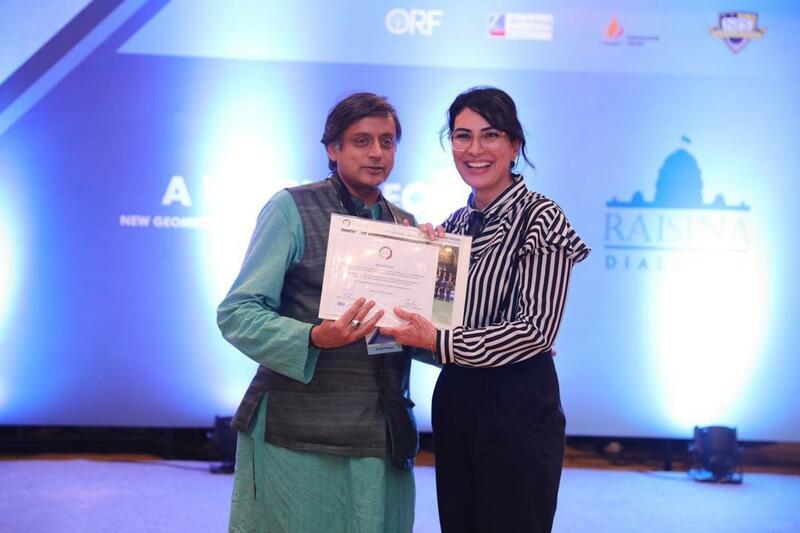 The most memorable experience of the AFGG was my engagement with Dr. Shashi Tharoor, Member of Parliament and Chairman of the Parliamentary Standing Committee on External Affairs of India, and the President of the ORF Dr. Samir Saran. Both of them are very unique in their approach, but were both equally influential in our respective experience at the AFGG. MP Tharoor emphasized that domestic and international politics are intertwined, and how various issues will shape each arena; this is why we must learn, appreciate, criticize, and improve, all at the same time. Dr. Saran emphasized the importance of dialogue, where all parties must always have an open line of communication, even if it may not seem to lead to anything concrete. Conversation is progress in its own right. I changed, and improved in the way I communicate, interact, and think. I also left with an extended family from twenty-nine countries, recognizing that networking is the most valuable resource for each of us. I’ve come to understand that personal and professional success really depends on your engagement with other people. Support systems rely on people, and whether you are growing a business or engaging in politics, your success depends on your relationships with people, and mentorship is critical to developing your own skills. This experience provided many inspiring connections. I write this to encourage those between the age of 28-34 to apply to attend the workshop next year; to expand your worldview, share your experience, learn from others, and build on your network. Visit https://www.orfonline.org/afgg/ to learn more.